There has been several rumours of the Pop Star being pregnant , due to instant weight gain. Rihanna has finally responded with a clap back posting an meme of Gucci Mane with a crying emoji.
" 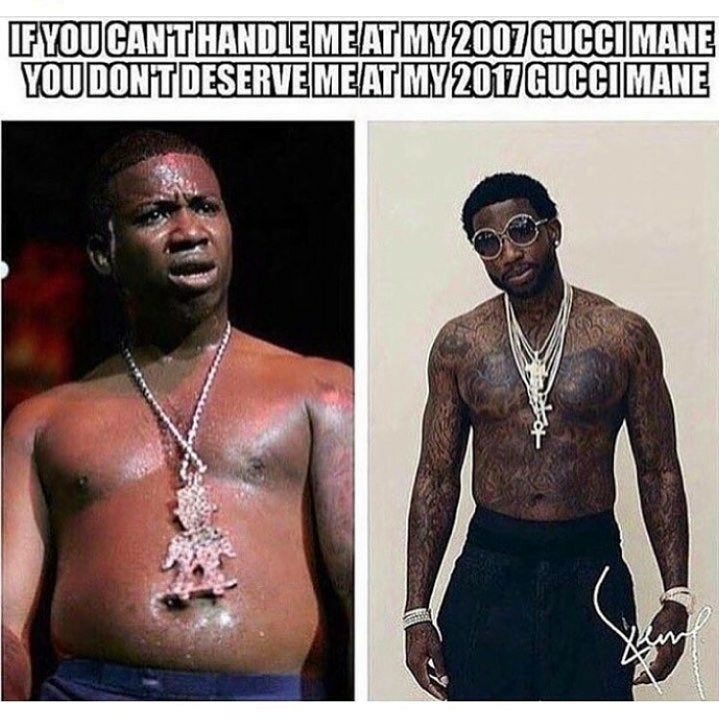 If you can't handle me at my 2007 Gucci Mane , you don't deserve me at my 2017 Gucci Mane , " the caption read. Rihanna will always and forever be the queen of clap backs , skinny or thick she's still top 5.